This weekend has been a busy one especially in the football section as the Kenya Premier League took place and also the Sportpesa Cup Championship that was being held in Dar es salaam, Tanzania. 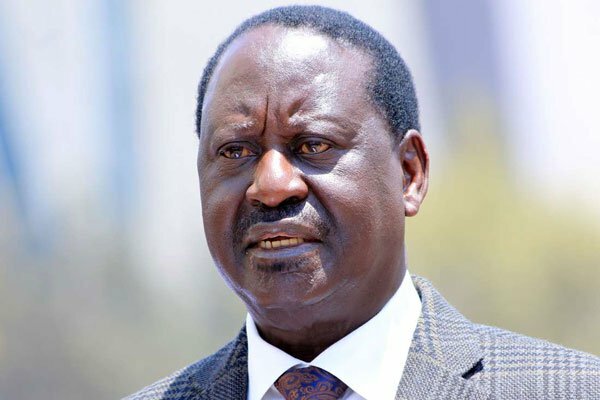 Those in attendance included the former prime minister Raila Odinga who was there to cheer the Kenyan teams that were battling for the first position. Kariobangi Sharks was playing Bandari to take top of the competition and they are the new champions of the Sportpesa Super cup challenge. Kariobangi Sharks is set to play with Everton, an English Premier League team based in England and there is speculation that the match will be played in Kenya. As the prime minister celebrated with the winners, Kariobangi Sharks, photos and videos of him being held by security officers helping him to walk because seemingly he had challenges have emerged and Kenyans have been worried for him. The National Super Alliance ( NASA) leader has come out to tell Kenyans that he is well and in good health in a tweet that he posted yesterday. Richard: Eat well n rest….we ve a battle ahead of us…..and tighten ur security!